The factoring process is quick and easy and funds are provided within 24-48 hours on approved invoices. Once we receive your factoring application and supporting documentation, setup is lightening fast compared to the months it typically takes most banks to decide on business loans. Since factoring is not a loan, it doesn’t add to the liabilities on your balance sheet. That means no monthly loan payments and a clean balance sheet. Grace Capital does not require long-term contracts, minimums, or maximums. You pick and choose how often and what invoices you want to factor. Factoring is designed to grow with you so as sales increase, so does your access to funding. The cost of factoring invoices has decreased over the years with advances available up to 95% and fees as low as 1%. The fees vary by industry, volume and number of invoices, advance rates, customer creditworthiness, and how long it takes customers to pay. 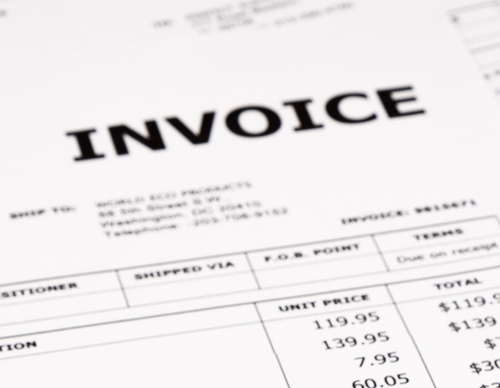 To find out exactly what programs are available for your business, please use our invoice factoring application. You need cash, not a boss. Grace Capital does not dictate how you spend the funds. No more waiting on your customers to make payments so you can pay employees or vendors. Pay bills, meet payroll, and remit taxes on time without worrying about late fees or damaged credit. Many companies use factoring to increase profits or fund growth. Take advantage of early payment discounts or add the staff and overhead required to fund expansion. When structured thoughtfully, (Grace Capital can help you with that) it is possible to use factoring to either save or make money far in excess of the factoring costs. You don’t need great credit, many years in business, or a robust financial history to qualify for factoring. Grace Capital Resources funds you based on the financial creditworthiness of your customers, not your balance sheet. That is good news if your business has faced financial or operational challenges and is on a path to rebuilding. Factoring lets you increase sales with the ability to offer credit terms to new or large customers without hurting cash flow. Plus, Grace Capital will help you evaluate new or existing customers’ ability to pay so you can avoid extending terms to high risk businesses. Save time, reduce in-house expenses, and improve the turn time on your receivables with professional receivables management. Grace Capital Resources will skillfully handle the paperwork, processing, headaches, and collection of accounts receivable, treating your customers respectfully as if they were our own. By not increasing debt and freeing up much-needed cash, it’s easy to see why so many businesses use factoring to pay bills, fund growth, increase sales, meet payroll, maintain a good credit rating, or take advantage of early payment discounts. Get started today with our convenient online factoring application.